Does It Have Mold And Mildew? 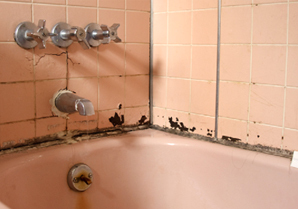 Speaking of mold and mildew, your current bathtub might already have this problem. Not only does mold and mildew look absolutely terrible and hurt the value of your home; it’s also a giant health risk, as mentioned before. Mold and mildew can cause all sorts of breathing problems, rashes, allergies, migraines, and nervous system issues. You don’t even have to take baths for this to affect you. Just living in the same home with mold and mildew is dangerous, and this is not something you want to subject yourself or your family to. Hopefully you haven’t dealt with this problem, but if you have, you know it’s not pretty. 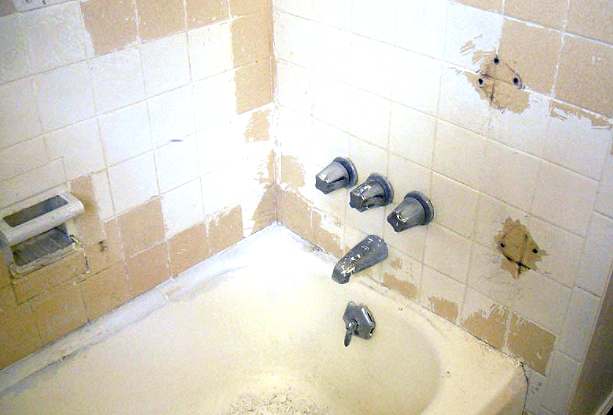 Bathtub leaks often result in mold or mildew, which tend to thrive in a bathroom environment. Because mold and mildew can be big health risks, a leaking tub is a problem. Bathtub leaks are also difficult to repair—and even when they are repaired, they usually return. Most leaks are obvious (you’ll see small puddles near the tub), but if you think you may have one and aren’t sure, do a test. Fill up your tub with water and plug the drain. Let it stand for a few hours, and see if the water level lowers. If it does, you should think seriously about a bathtub replacement. Leaks only get worse, so don’t procrastinate if you notice them. If your bathtub is indeed stained, you can do your best to clean it. 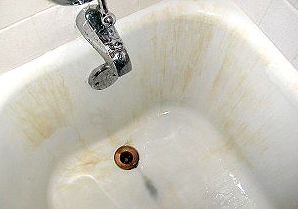 This may work, but if it doesn’t and it’s very serious staining, you should consider a bathtub replacement. Why? 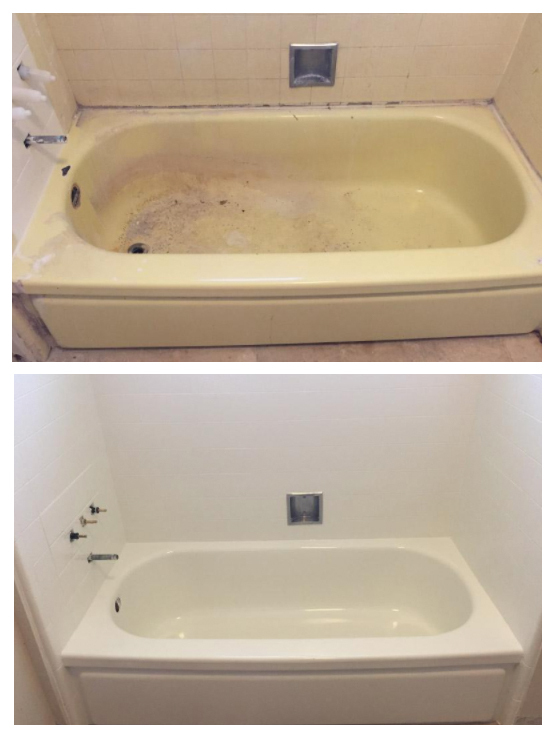 Not only do stains make a bathtub look terrible, they also carry loads of bacteria and germs. Honestly, who could relax in a bathtub knowing that? Does It Accommodate My Mobility? As our bodies change, sometimes our houses need to change as well. If you’re finding it more and more difficult to get in and out of your bathtub, or you often feel like you may fall and hurt yourself, it’s probably time for a bathtub replacement. There are walk-in bathtubs that help homeowners with special mobility needs. Whether it’s for yourself or a family member, it’s important that you feel safe with the bathtub you have. Do I Fit Inside It Comfortably? Sometimes, especially with older bathtubs, it can be difficult to actually use them. 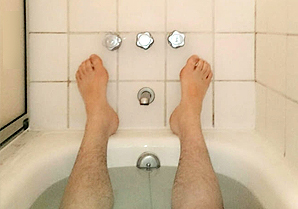 This may mean the tub is too short for your legs and you have to squish in; it could mean the tub is too narrow and you don’t have enough room; you have trouble getting in or out; or it could mean that you always feel like you could easily slip because of its shape. Whatever the case may be, your bathtub should feel roomy and luxurious—not cramped and uncomfortable. If it’s a bad fit for your body, a bathtub replacement may be in order. If you ask yourself these questions and don’t like the answers, a bathtub replacement should definitely be a priority. A good bathtub gives you so many things: cleanliness, relaxation, time to yourself, and physical comfort. Don’t overlook their importance! If you need a bathtub replacement, consider OSP for your installation needs. We’re experts in this field and we would love to help.